There is a saying that “every family tree has some sap running through it!” Or another: that old so-and-so “is the nut that fell from the family tree.” If you’ve ever done genealogical research, let me tell you from experience that you may not like what you find out! The adopted/biological half of my background goes honorably back through Revolutionary War soldiers to certain founders of the Protestant Reformation in Switzerland. The biological half that I’ve only recently worked to uncover was more problematic – only got as far as a great-grandfather who appears to have been an orphan and then later a state prisoner … for what, I don’t know … maybe he assaulted a New York Yankees fan! Boaz was a just man and was willing to fulfill the role, but there was a closer relative. This fellow was at first willing, that is, until he heard that a Moabite woman was a part of the deal! You can almost see him slamming gears into reverse when he realizes this! 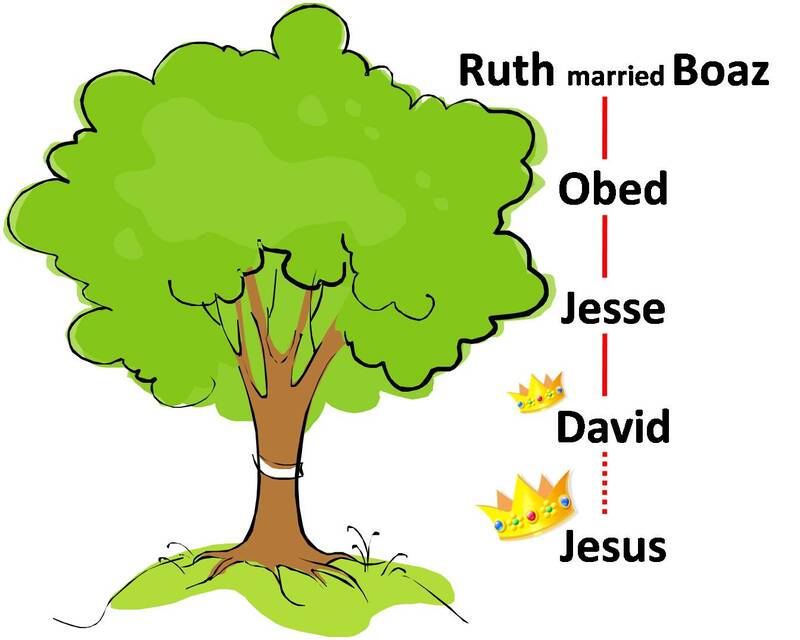 As we read later in the Scriptures, Boaz and Ruth are the great-grandparents of David, and are therefore in the family tree of Jesus. The theological significance of this is that Christ can be regarded as an example of a kinsman-redeemer, since he identified himself with us and redeemed us because of our need. As we have seen in passages in Hebrews that we have covered already in this series (2:11) – “Both the one who makes men holy and those who are made holy are of the same family. So Jesus is not ashamed to call them brothers.” Jesus is not only our redeemer from sin, but as Hebrews 2:16-18 and 4:14-16 display, he is a kinsman to us and understands our human weakness and struggles. Thus he is able to help us in our times of need. 4:1 Meanwhile Boaz went up to the town gate and sat down there just as the guardian-redeemer he had mentioned came along. Boaz said, “Come over here, my friend, and sit down.” So he went over and sat down. 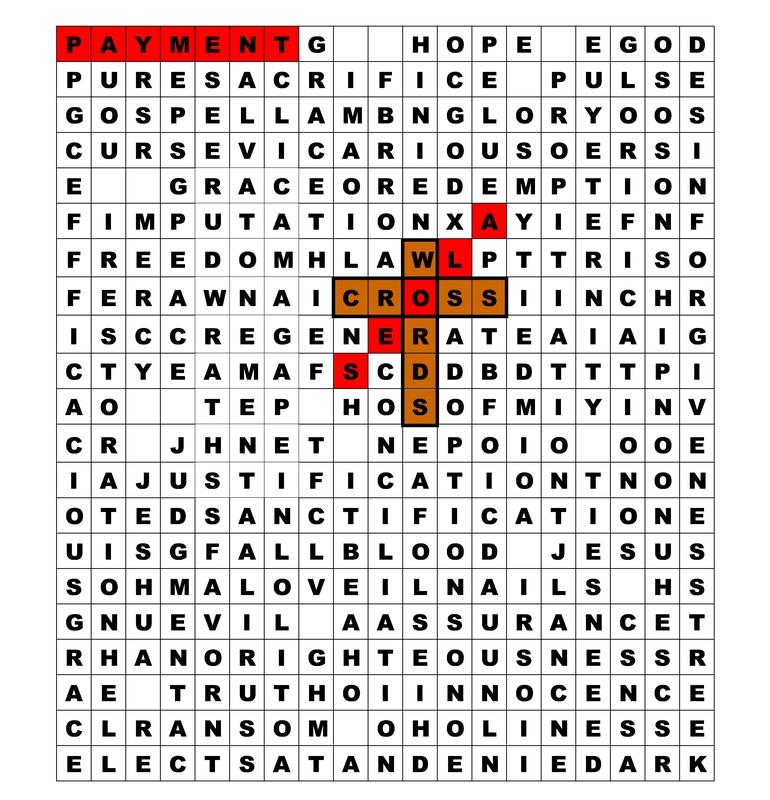 Payment – the necessary deed to make redemption and all the cross words a reality. Aloes – It says in John 19 about Nicodemus and Joseph of Arimathea – Nicodemus brought a mixture of myrrh and aloes, about seventy-five pounds. Taking Jesus’ body, the two of them wrapped it, with the spices, in strips of linen. This was in accordance with Jewish burial customs. This entry was posted in Cross Words and tagged Kinsman-Redeemer, Ruth 4, Story of Ruth by Randy Buchman. Bookmark the permalink.